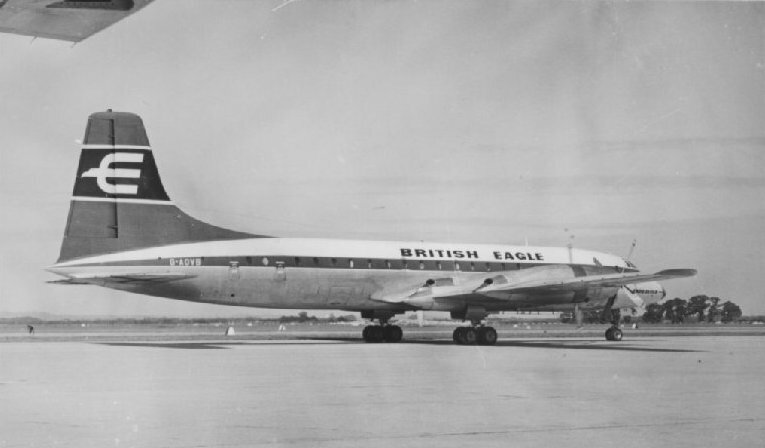 G-AOVB was badly damaged after a heavy landing at Gan in the Maldive Islands on the 10th October 1965. It crashed on an inbound trooping flight from Bahrain to Australia, with 120 passengers onboard. A maintenance team was sent from London to repair the damaged aircraft, with help from the RAF. The RAF applied the nose art to the front of the plane. Pictures from Gan. The aircaft was converted to a series 312F. 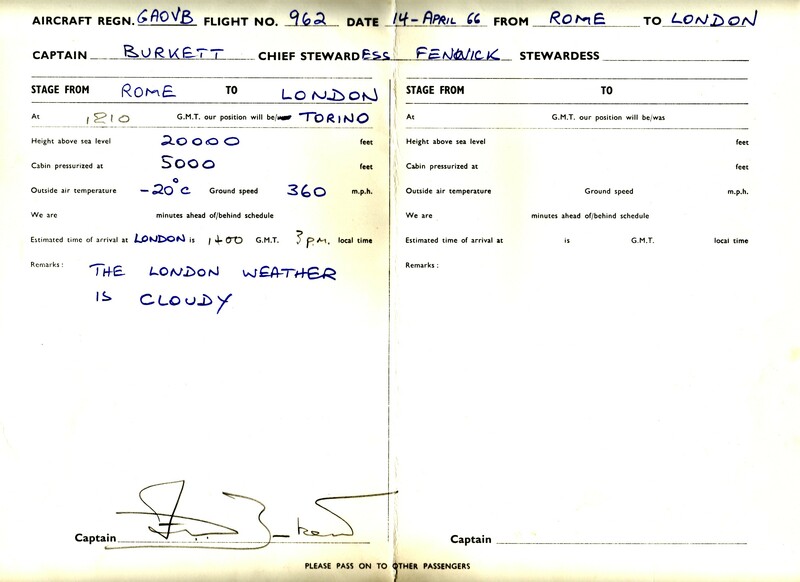 It was damaged beyond repair landing at Buenos Aires on the 12th July 1970.